Interesting article and enjoyed that it is about a local manufacturing company! I have a HAAS machining center (among others). We started with a Leadwell built in Taiwan, and added to that. They are built SOLID with real sturdy box ways and have been reliable since 1985 and still going. I LOVE the fact that the HAAS is MADE IN THE USA!!! HAAS was able to crack the American machining center market with QUALITY AFFORDABLE machines. IMHO, to your question – YES. HAAS brought affordability to the United States machine-tool market. I do believe the field is becoming even; with the “technology” that is available today more than ever. Years ago if you told me we would have 5 axis CAM software in a small shop, I would have told you you’re crazy, but today, we do. We don’t have any Haas machines in our shop, as when we started up, we went with what we were familiar with and could produce $$$ right away. As we turn over higher hour machines, I can’t say we won’t have a Haas. Molinari actually putted very well with his Callaway putter. It was his 2 shots plunked into the water that doomed his final 9 holes. If anything, maybe Molinari should switch to a Scotty Cameron ‘Newport 2’, which is the putter that Tiger used at the Masters. In fact, I think it is the same putter used in almost every one of Tiger’s major wins. The putter is considered to be one of the most valuable artifacts related to sports history, not just golf. Scotty Cameron putters have been used in 39 major wins in the modern era. 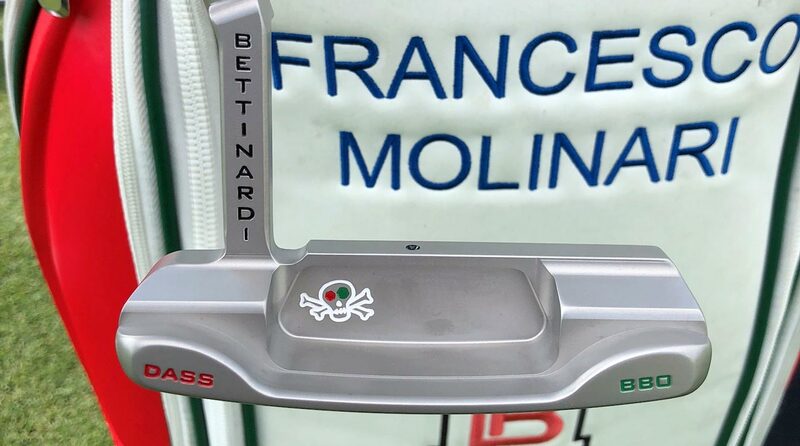 Bettinardi claims 2 major wins, one by Jim Furyk in a US Open and the British Open last year by Molinari. Scotty Cameron has been around a few more years than Bettinardi. I think Ping leads all of the golf companies with winning majors. Don’t discount EVNROLL putters out of Carlsbad, CA.. They are giving Bettinardi a run for their money. Not sure if all of the EVNROLL putters are made in the USA. Some may be sourced overseas, or some of the raw stock might be. I’m not sure. All of the touring pros have custom fit, custom made clubs. Many are under contract from the manufacturers to play their clubs. Their clubs might be different from the ones available to the general public. I think Tiger’s putter, Scotty Cameron by Titleist (Acushnet) actually has a grip made by Ping, but the Ping logo is removed. Just my opinion, but it’s the talent and practice by the golfer that makes his game, not the clubs. Sure, the technological improvements help especially at the higher levels. I live on a golf course but I don’t play anymore. I love it when I find a Titleist Pro-V1 golf ball in my back yard…$4 a pop. Dang player can’t hit his expensive golf ball more than 50 yards off of the tee before it lands in my backyard. Money would be better spent on a few lessons!